Well, yes, my dedicated readers will perhaps recall a previous post titled “Confiture de Reines Claudes” in which i wrote about tracking down a French recipe for this delicacy and preparing it. 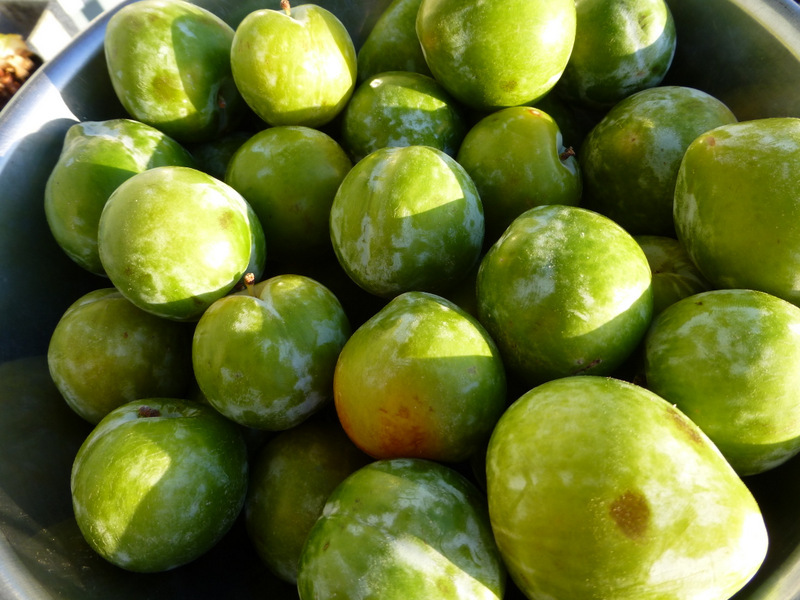 Truly dedicated readers will remember that “Reine Claude” is the original French name for the plum now called the Greengage in English-speaking lands. I didn’t cook the jam as long as i did the confiture, trying to preserve the green color, but what happened was that the jam didn’t set nearly as well and was still only faintly green. Sure does taste good, though. And here’s a shot of the fresh plums. OK, and enough about plums.